Race around the city with these Flash Sun-Staches! 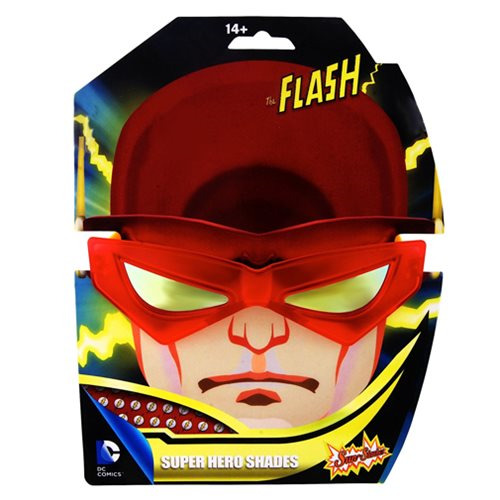 These awesome glasses feature the Scarlet Speedster's iconic colors and symbol. Whether you are saving the world with the Justice League or visiting friends in Star City, never leave home without these Flash Sun-Staches! One size fits most and all Sun-Staches provide 100% UV400 protection. Measures approximately 6-inches wide by 2-inches tall. Ages 14 and up.